So, you’ve decided that a home security system is the right choice for your family. Now what? There are tons of home security companies to choose from. Just check out a few of our recommended providers, if you don’t believe us! There are even more choices that can be found on the internet that offer a wide variety of services and prices. With so many systems to choose from, how in the world are you supposed to narrow down your choices? Well, it all starts with understanding all of the equipment that is offered. If you can figure out which pieces of equipment are essential for your family, you will be able to narrow down the system based on the pieces of equipment that are available. Here is a complete list of home security equipment that you need to understand! Most systems come with a traditional button keypad and control panel. These are often the easiest to use, making them a good choice for seniors. If you’re looking for something a little more intuitive and high-tech, a touchscreen control panel might be the right choice for you. Some home alarm systems don’t require a control panel at all! Instead, you can control the entire system from your smartphone or other portable device. Base stations function as the relay station between the control panel or app and your security equipment. They are included with every system, but some systems separate this feature from the control panel. Using a siren, alarm, or blaster is a great way to scare a burglar away from your property. It functions the same way a car alarm does. Home security is about more than just protecting your property from thieves. You can also add carbon monoxide detectors to some plans. Make sure a fire is dealt with right away, even if you’re away from home, when you add smoke detectors to your home alarm system plan. Freezing pipes can wreak havoc on your property. A freeze sensor can alert you to potential problems before your pipes burst. Flooding can severely damage your property and your belongings. Water sensors can be tied into your home alarm system to alert you of flooding in your basement. Entry sensors are the base of most home security systems. They can be placed in windows and doorways. Some are recessed so they can’t easily be seen and deactivated. Motion sensors hidden through your home can detect the movement of an intruder, even if they made it by entry sensors. Image sensors are a lot like motion sensors, except they can take a picture of the person who set off the sensor. Panic buttons are an easy way to set the alarm on your system, even if the alarm hasn’t been sounded. They are especially effective in retail situations. Thieves don’t always break down the front door. Glassbreak sensors can sound an alarm if an intruder shatters a window in order to gain entry into your home. Burglars are sneaky. If the intruder decides to sneak in through the garage door, a garage door sensor will set off the alarm on your system. Interested in knowing when someone arrives in your driveway, especially if you aren’t expecting company? 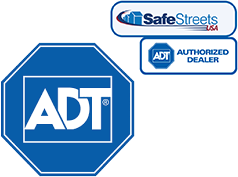 Look for a home alarm system provider that offers driveway sensors. Indoor video cameras can identify an intruder, but they are also a great way to keep tabs on your family. Look for a camera with two-way voice communication. A burglar will pass through your yard before breaking in. Identify intruders early with an outdoor video camera. Not only can doorbell cameras keep an eye on your front yard, they also enable you to speak to people at your door, even when you’re not at home. Keychain remotes are an easy way to control your home alarm system. Keychain remotes may also include a panic button, and some even come equipped with a flash drive. No home security system is complete without a security sign and/or stickers! If you really want to be sneaky, try setting up a sign even if you don’t have a full home alarm system. Many home alarm systems also offer bonus services like vehicle tracking, medical alert pendants, home automation, and more. Start by choosing the items that are musts for your family to narrow down your choices. Then, you can see what bells and whistles are available with the security systems you’re most interested in.